Course Description: Students will study the history of mankind from ancient Egypt through the renaissance. Topics include: ancient Egypt, ancient China, Mesopotamia, Babylonia, Maya, Indus Valley, Greeks, Romans, Vikings, middle ages, feudal Japan, Mongols, renaissance, Reformation, and early explorers. Students will produce visual, written and oral projects to demonstrate their knowledge and understanding of the subjects. Geography and current events will regularly be incorporated into the lessons. Students have many choices for optional reading. Did you know that the Bible is considered to be one of the most accurate history books in the world? It’s not accepted as true by everyone because of the miracles in it. Some people won’t accept the miracles as true even though the rest of the accounts have been proven true. The Bible details names of leaders and places and describes geography that is continually being proven true as more and more archaeological discoveries are made. The history of the world begins with a time known as prehistory, the time before recorded history. No one was there to record, or write down, what happened. The closest thing we have to a recording of it is what we read in the Bible. This year in Bible we’ll read the beginning of Genesis which records the “prehistory” period. Also, the book of Job is probably from this time. Historians who don’t believe in God say humans must have begun speaking with grunts and slowly, slowly over thousands and thousands of years evolved their language, but, we know that Adam and Eve talked with God in the garden. Adam and Eve were God’s children and He taught them to speak. We read in the Bible the first making of clothing was done by God. He made clothes for Adam and Eve. In fact, I bet He taught them a lot of things. Historians who don’t believe in God say how it would take hundreds and hundreds of years to make each new development. They don’t consider there was someone teaching the people how to do things. I think all through history there were times when people were given supernatural knowledge or ideas. If you have studied year 4 already, you read about George Washington Carver. He prayed and asked God for ideas of what to do with the peanut. God gave him hundreds of ideas, including yummy peanut butter. Let’s not forget to see God working throughout all of history. We are going to leave prehistory to what we read in the Bible. We won’t study some people’s guesses about what might have been. We will start our history year with history recorded both in and out of the Bible. The first civilization we’re going to study is found in the book of Genesis. Joseph is sold to the Egyptians. *Save and then print out this ancient Egypt lapbook. 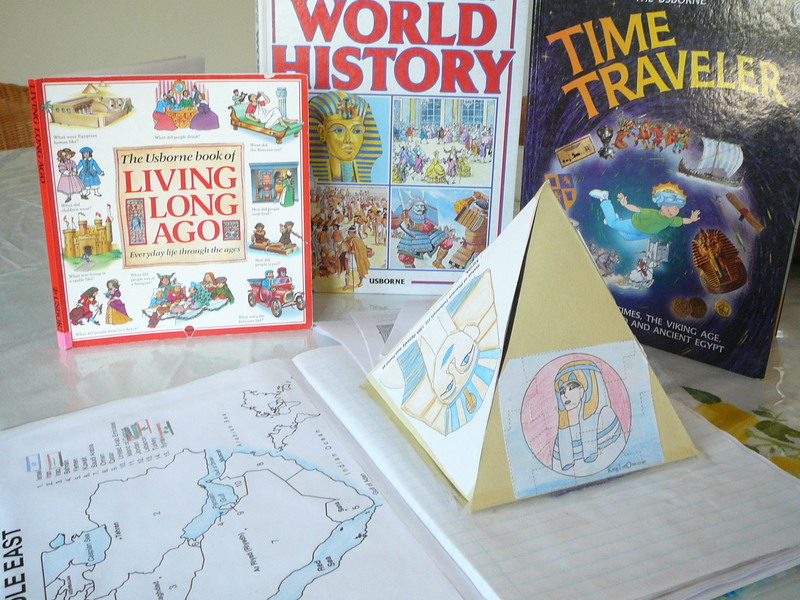 Scroll down just a bit and look for 3D Ancient Egypt Lapbook. At the bottom of that section, look for “Free Download” and click on the title, “Ancient Egypt Lapbook.” Save it to your computer to avoid printing problems. You don’t need things like the cover page or directions printed out. You’ll be using pages 3-11 and 13-16. You will not be doing the suggested reading in the lapbook. We’ll use websites to get the information. Read about civilizations and about the formation of the Egyptian Empire. Read these pages. Do NOT click on next. Later this year we’ll read about this time period in the Bible. But I wanted to give you an idea of when we are talking about. Ancient Egypt’s civilization began before Abraham was living.That was called the Old Kingdom. The Israelites were slaves during the last part of the Egyptian empire, called the New Kingdom. Israel began with Jacob. God changed Jacob’s name to Israel around 1900 BC. 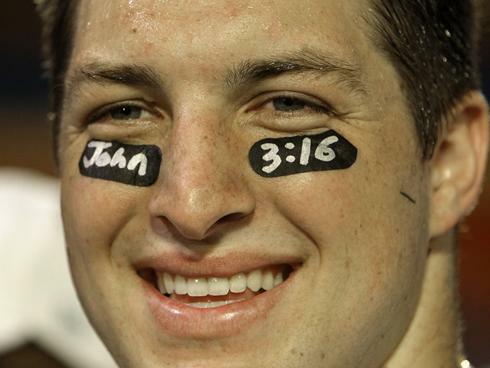 That means one thousand nine hundred years before Jesus was born. The numbers grow from the middle out. Can you see that? *See if you can put these dates in order. Remember, in BC (in the time before Jesus was born) the bigger the number the farther back in time you are. Read about the two types of workers. You can use the pyramid on this page to get the information you need. This video is a little review from year 4. If you haven’t studied year 4, you can still watch the video for fun if you like. Do the hieroglyphics lapbook pieces on pages 6 and 7. Follow all of the directions included. Do the Rosetta Stone lapbook piece on page 8. Try and sculpt a sphinx. If you don’t have clay or playdough, mix 1/2 cup of margarine or butter with 1/2 cup of flour. Choose a puzzle page to do from the lapbook. Do this online interactive about Pharaoh burials. Do the burial lapbook piece on pages 10 and 11. Do the King Tut notebooking page on page 16. You can read about King Tut here. Look at the treasures they found in his tomb. Go here and click on Ancient Egypt and then About Ancient Egypt. Then click on the different parts of the timeline and read about Egypt. Complete the word search from the lapbook on page 5. Print a handful of timeline pages. Fill in at least one timeline page. You don’t have to fill in every line. Fill in one date and then add words or pictures (clip art). When you are done, add another date. Words and pictures can go in the spaces to the sides. You can go back to Day 10 to the timeline if you like. Optional Reading: The Story of Mankind pages 29-41 with Audio. Find Mesopotamia and Egypt on this map. In the reading it mentions Babylon. Babylon is mentioned in many places in the Bible. Read about the Babylonians and the Assyrians who lived and fought in Mesopotamia. You will read about them in the Bible. Now you get to play. Choose the agricultural quest. You will dig in the tells and look for artifacts that show farming was important to their society. Read this page about Hammurabi. Read this page about cuneiform. Read it and take a look at it. *Print out a map of Central Asia and color in where Mesopotamia was. Read more about Hammurabi’s Code of Law. It’s one of the earliest significant writings that has been preserved. He was a king that followed a false god. Play Hammurabi. Decide how much to plant and how much to feed your people. Can your people survive? One of the inventions of this time and area was the “hanging garden.” They didn’t hang, but they were not on the ground. Click on the link to see pictures. Then read about the discovery of the wheel. Draw or build your own wheel-carried cart. Fill in at least one timeline page for Mesopotamia. You don’t have to fill in every line. Fill in one date and then add words or pictures (clip art). When you are done, add another date. Words and pictures can go in the spaces to the sides. Here are two links where you’ll find a date: wheel, Babylonians . Write your name in cuneiform. You might have to be creative with the sounds to make your name. *Read an article and fill in this chart. We’re going to move to another part of the world now, China. Cut out the timeline on page 6 as one piece. Fill in the dates provided on the pages. Fold the top down, folding it in half. Write Timeline on the blank cover and decorate it. Read the information and complete the Confucius piece and one page of copywork. Read about Emperor Qin and complete his piece. Read about Terracotta Soldiers and complete the piece. Here is a video with an up close photograph. In the lapbook materials there is a recipe to make your own soldier. You can make that if you like. Read about the Great Wall of China and complete the piece. See it. Scroll down and look at pictures or click on the triangle play button for the panorama view. Here’s a virtual tour of a few spots on the wall (requires Flash). Do one page of Confucius copywork if you are learning cursive. Do one page of Confucius copywork. If you don’t know cursive, you can print. Do one page of Confucius copywork. You can print if you don’t know cursive. Choose three inventions (from below) to read and write about. Read about the Silk Road. *Make a lapbook piece with a Silk Road map. Cut out around the dotted line. Write info about the Silk Road in the blank rectangle. Fold the top half down. Glue the back of the blank rectangle onto the lapbook and write “Silk Road” on the back of the map rectangle as the cover of the minibook. Three choices of what to do today. Choose one, two or all three. Write a story about your trip back to ancient China! Write Chinese calligraphy. The first link is a page of Chinese characters to write. You can write them on paper or online with the second link. As you read each day you need to take what you think is the most important or most interesting information and put it in a scrapbook (on paper or online), in a lapbook (create your own pieces or use premade) or in a power point presentation. My daughter made a poster for her project. She put on pictures and blocks of information. Or, if you want, you could use notebooking pages and add more if you need to (Ancient Maya Notebooking pages – about halfway down the page). Here is another map to see where they lived. Look at the map key. Which symbol shows you where the ancient Maya lived? Notice the clip art. Here is some more clip art. Begin your project. Every day you’ll add in pictures and information that you find important and/or interesting. You need to add information to your project every day. Read about a Mayan ball game. Add important and interesting information to your project today. Read about Mayan beauty ideals. Read about Mayan numbers and math. Read about their calendar. Even today you will hear people talking about the Mayan calendar. Read about the leaders and their fashion. Click on the Xs on the map and you will see some pyramids. Finish and present your project. Read about the land of the Indus. *As you learn about the Indus Valley civilization, you can write in this organizer (Indus Valley GO). You can write on this like a worksheet, or you can cut out the pieces and staple them together as a little packet. Read about their way of life. Write some of the things you learned in your organizer. Show your organizer to someone and explain to them about what you wrote. Read about their jobs in the Indus Valley. Read about children in the Indus Valley. Read about the end of the ancient Indus Valley civilization. *Print out this worksheet and complete the map activity. Write a newspaper. Work on a computer you can print from. You could give this to a parent to add to your portfolio. Either write a fact from what you’ve learned in each section, or write as someone from that time period. You don’t have to write lots, but be informative! *Look at these pictures of excavations and discoveries from the Indus Valley Civilizations. Use your observations to help you fill in the blanks. Gather your family and using your organizer, tell them all about the Indus Valley civilization. (Optional reading: The Story of Mankind pp. 42-84 Audio) We will be doing Greece through day 70. That’s 20 days to read 40 pages. Read about the Greek world. Click on the photos and look at them. *Print pages 17-19, 24-25, 28-46 of the ancient Greece lapbook. Read the about the legend of the Trojan horse. Complete the Trojan horse piece. Complete the Homer lapbook piece. Read about kids in Greece. Complete the Greek life lapbook piece. Read about the Greek gods. This is a big lapbook piece. Here is how you make it. (You can find a note in the article for you to “try these other sites with photo directions” if you need them.) You will be using four pages from Zeus and Helena through the gods and godesses. Complete the Parthenon lapbook piece. Complete the Sparta/Athens lapbook piece. Read about the Olympic games. Do the ancient Greece Olympic events piece. Read about the Olympics in the lapbook, pages 12-15. Complete the famous Olympians lapbook piece. Read about the Greeks at war. Tell someone about what you learned. Read about the arts and theater. Do the columns lapbook piece. Assemble the city states lapbook piece. There are no pictures to cut and glue on. Assemble the piece and draw little mini pictures to go along with the words. Complete the famous Greeks piece. Use the lapbook for info, page 7. Complete this interactive. Go to all of the places along the bottom. Read some current events. Tell someone what is happening in the world. Read through the timeline of Ancient Greece. You need to choose it from the menu and then choose “About Ancient Greece” and click on each item on the timeline. Then click on Ancient Greece in the menu again and this time choose Design a Greek Pot and design one! Listen to this explanation about Ancient Greek theaters. *Complete this worksheet about Greek theaters. Start at Explore Ancient Greece and work your way down through the Olympics. You can finish the rest on Day 69. Start at The Greek Alphabet & Language and work your way down through the end. Take a look at Greek items that have been found. Play Ancient Civilizations Rags to Riches. Do your best. Play Ancient Civilization Jeopardy. Directions are below. Click on a square, the lower the number, the easier the question. If you are playing with a younger sibling, give them the easier questions! Answer the question out loud. Then click on Answer. Click on Adjust Score. Click on correct or wrong, depending on your answer. Your points go up or down the number on the square you chose. Click on HOME to go back to the game board. (Optional Reading: Titus, Comrade of the Cross) This is just 100 pages. Look at these maps of Italy. Where is Italy? Where is it compared to Greece? Egypt? Find Rome on the Italy map. Next we are going to study about the Romans. 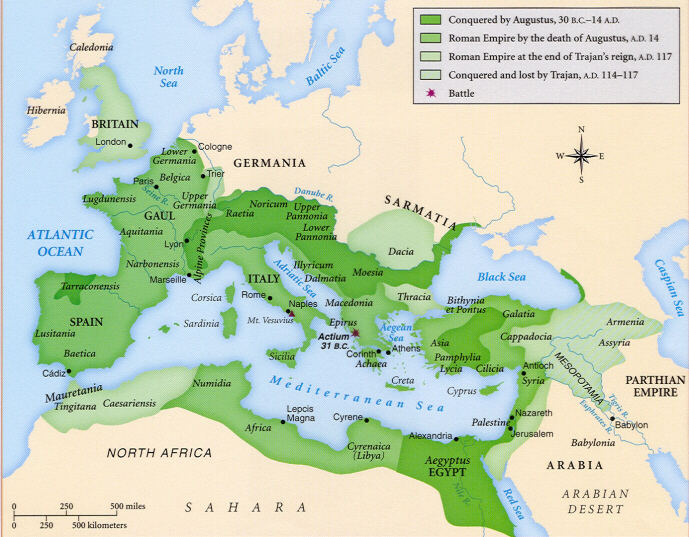 Now take a look at this map of the Roman Empire. See how much land they controlled when they were at their peak? All of the areas shaded with any green show what was part of their Empire. Notice how they controlled all the way around the Mediterranean Sea. Controlling water was very important. The different shades show how it expanded and contracted over the years. Read about the city of Rome. Click on each of the tabs with questions and do the readings. Click on all of the pictures and videos. The videos weren’t loading, but you can see the pictures and read about them. Then click on the quiz button at the bottom and take the quiz. Write a sentence about Augustus. Type it in a document and save it. Call it Romans and save it in the folder with your name on it. We are going to add to this. Click on all of the question tabs and do the readings. Click on the pictures and look at them and the videos. The videos weren’t loading, but you can see the pictures and read about them. Then take the quiz at the bottom of the page. Write one sentence about the Britons fighting and surrendering and living under Roman rule. Read about the Roman army. Click on all of the question tabs, pictures and videos. The videos weren’t loading, but you can see the pictures and read about them. Take the quiz at the bottom of the page. Write a sentence about the Roman army on your Roman document. Read a little bit more. Write “All roads lead to Rome” in your Roman document. Add any other information that you find important or interesting. Add information to your Roman document, whatever you find important or interesting. Read about Roman family life. Click on everything. The videos weren’t loading, but you can see the pictures and read about them. Then click on the quiz at the bottom of the page. Learn about Roman houses. If it’s too much to read, you can at least study the pictures to see what it was like. Click on each of the colored letters. Take the quiz to see what you know and to learn more. Read about Roman religion. Click on everything. The videos weren’t loading, but you can see the pictures and read about them. Read about the Roman Senate. Add any important or interesting information to your Roman document. Read about the fall of Rome, how it ended. Add important and interesting information to your document. Which items don’t belong in Ancient Rome? If you like, try to rule the Roman Empire. To conclude this portion of our Roman studies, you are going to put on a play. You can write a short play, or you can write a story for a narrator to read while the actors pantomime. Today choose what your play is going to be about. You aren’t going to use all of your information. Try and include several things though. Decide and write down the idea for your play. Here are some examples: An emperor leading the army on an invasion, the Senate debating taxes, a family. Write what is going to happen in your play. Plan the beginning, middle and end. You don’t have to write it today. Just make sure you know what your plan is. You can do your own or work with your brothers and sisters. You will probably need each other to be actors in each other’s plays. Work on writing your play. Work on writing your play. Try and finish today. Today for art and for history make masks and costumes for your play. Make sure the costumes are simple and are things you can hold onto until tomorrow. Put on your play. Take pictures and add a page of pictures and a description to your portfolio. Read about some current events here. We’re actually not quite finished with the Romans. We’re going to look at them from another perspective next. Read about the Romans in the Bible. These are just the verses from Luke and Acts that talk about Romans. The Pharisees ruled the Jews underneath the rule of the Romans. In the one verse we read how they were concerned the Romans would take away their temple if Jesus’ got too many followers and caused too much commotion. Read about the Roman gladiators. When it talks about them sending in criminals, this became a way that Christians were persecuted. If they confessed their loyalty to Christ as their King, they could be killed. Here is a coloring picture of what the theater looked like. The Maccabees are a famous family in Jewish history. This story comes from before the Romans. The area they were in was eventually conquered by the Romans. But I’m putting it in here while we are talking about the Bible fitting into history. Here is the brief of the story of the Maccabees. They were a Jewish family who stood up and fought when the temple was taken over and given to the worship of Greek gods. They won and restored the temple. In the temple there was the menorah that was always to be lit. They only had enough oil to last for one day. It would take them a week to get more. The oil lasted eight days until they were able to get more. This is the miracle that Jews celebrate called Hanukkah. Do you think you could be brave to stand up for your beliefs? This story comes between the Old and the New Testament. There’s a 400 year gap between the Old and the New. Why? God was setting things up just right. In order for the gospel to spread (as it did so quickly in Acts) there had to be a common language spoken. The Greek Empire took care of that and all of the areas where Paul ended up traveling spoke Greek. The gospel also needed a way to travel. The Romans aided there by building roads all over their empire. God used the Romans in another way. In conquering the whole region, they took control by policing their territories. This ended a lot of fighting and banditry in different areas that made travel dangerous. Are you interested in the Maccabees? Here’s a video about the story of Hanukkah. WARNING: There are some photosensitive sections (brief strobe lights, lightening bolts, etc.) in the first 6-7 minutes of the video at approximately 0:45, 3:40, and 5:30. It ends by 6:15 (This is long, 45 minutes). Make sure you click on all of the tabs to read. And click on the pictures to see them better and read the captions. Take the quiz at the bottom. Just for fun, if you like, you can click on Thorkel and the Trading Voyage at the bottom and play the game. Read about Vikings at sea. Make sure you click on everything and read everything. Take the quiz. It’s down lower on the page. Read about Vikings at home. Make sure you read the fun facts every day. Read about their beliefs and stories. Learn about the Vikings with this online activity. Read about Viking trade and exploration. If you have older siblings, maybe you could play the trading game with them. Here are coloring pages and two crafts if you are interested: Viking boat craft , Viking longhouse. I’m not going to require these. If you like to read aloud to your kids, try one of the first three. The first one is fairy tale type stories. You probably know this time period best as the time of knights and castles. We’re going to use our handy-dandy history website to begin learning about that time. Read about the Anglo-Saxons. This site is going to be talking about the early years of this period. This is just one place and one time. After we read these pages, we’ll look at some other aspects of this time period. After you read you can take the quiz and play the game in the Activities section of the page. Make sure you click on all of the tabs and click on the pictures to read their captions. Take the quiz when you finish. Read about Anglo-Saxon life. Make sure you look at all of the pictures and read the captions. Take the quiz when you are finished. What would you have liked best about growing up then? What would you have liked least about growing up then? If you are interested, here’s a website about games they played. Read about what they did for fun. Compare yourself to what you read today. What do you like to do that they liked to do? Contrast yourself to what you read today. What did they like to do that you don’t like to do? Read about King Alfred the Great. Make sure you click on everything to read. Print out the knights and castles minibook. Today read about castles. Click on the links to the left. Cut out and put together your minibook. Use your castle page of the minibook to write something new you learned about castles. Read about knights and pages and find the page where you get to dress the knight in his armor. Fill in the other two pages of your book with things you learned about knights. Make a mini scrapbook. You can cut paper in half or quarters and staple them together. On each page write a word, draw a picture or write something about the middle ages. You could try and include this in your portfolio, or you could use tomorrow’s project. Look at these two pages with symbols from coat of arms. These pages teach about the meanings of different colors on the coat of arms. *Make yourself a shield with your coat of arms on it. It doesn’t have to be crazy fancy! Scroll down to read some Anglo Saxon words phrases. Try some out! If you like, here is a castle craft. *Print out this cover picture and complete the map lapbook piece. Also print the other peices you’ll need. Under the map piece is the feudal system book. Next to that is the kimono book. Under that is the Japanese fan book. Samurai book is two below that, under swords. Use this page for information. Complete the feudal system book. (Printed on page 121.) The diamyo were the powerful landholders in Japan. The peasants had to live and work on their land and give them a lot of what they grew or made. Use this page for information as well. You can watch a traditional fan dance. The fan showed the status of its owner. Some very fancy fans were made. Those of high status had fans made from pearl or ivory. Tell someone about the Mongols and Genghis Khan. Look at this map. Click on all of the dates and watch the Mongol Empire expand. Use the place names to help you see where these things were happening. *Print out “World 3.” Figure out where the Mongol Empire was and color in where it was when it was its largest. Read some more about the leader who brought the Mongols together. Who were Genghis Khan and Kublai Khan? Tell someone all about them. Let’s learn about Mongolians. Read about their houses. Click on the link to see how the inside was arranged. Click on the first link in the list at the bottom “A Mongolian Yurt” to see more pictures. Draw a picture of a yurt. Read about the Ottoman Empire. You will click on Next and read four pages. The last page is about how it declined. The name of the sultan or king that made them strong was Suleiman, Soo-lee-mahn. Look at this map of the Ottoman Empire and figure out where it is. *Color in a map showing where they ruled. It is marked out for you. Label Africa, Europe and Asia. Read about the Persian and Mogul Empires. There are seven pages. The last one is about the decline of the Mogul Empire. Tell someone about these two groups. Who is a famous leader from each empire? What religion were these empires? Look at this map of the Aztec Empire. *Print out “world 2” and find the Aztec Empire on the map. Color the spot and label it. You may need to look at another map to help you if you aren’t sure. Scroll down on this page and watch the first two videos from this area. There is a volcano video and a desert video. *Print out these pages on the Aztecs. Read the history of the Aztecs and match the pictures to the words as best you can. Show someone your work and tell them about what you learned. Watch this video on the conquistadors coming and ending the Aztec empire. Answer the questions at the end of the video. The Whipping Boy It’s 2nd/3rd grade level. Someone found this online version. We’re moving into a new era, the Renaissance. We’re coming out of the dark ages and into a period of new ideas. Renaissance means “new birth.” It was a new beginning. This period is from about 1400AD to 1700AD. There was one new idea, one invention that really made a turning point in history. It was a printing press. How often in your day do you see printed words? All the time! In the dark ages people thought they were Christians and serving God by killing Muslims during the Crusades. People made their own ideas of what God wanted because they had no way to know for themselves. They had no Bible to read! They knew only what they heard told them. What dangers can you think of if you could never read the Bible for yourself, and your family couldn’t read the Bible? How would you know the truth of God’s Word? Gutenberg changed all that with his invention. Read about Gutenberg and his printing press. First you are going to read about the Tudors. They were the family that ruled over England for more than 100 years during this time. They are kind of famous for chopping off people’s heads. They weren’t very patient rulers. Read about life during the period of the Tudors. Read about Henry the VIII. Read about why he was famous and whatever else interests you from the list. Tell someone about him. Why is he famous? Do the “Place in History” activity. Look through these pictures of actual artifacts from the Tudor period. What’s the most interesting? Read about the renaissance. Keep clicking next and STOP when you get to the page on Florence. Read about cities in Italy and read through the pages on the northern and English renaissance. *Print out this map of Italy and label Florence, Rome and Venice as closely as you can. Also label the Mediterranean Sea. Here is a map to help you. Read more about the renaissance. Read about how it began. What is perspective in drawing and painting? How did it change artwork? Read about artisits and look at their artwork. Read about the Reformation. Click on next until you have read about Martin Luther. At the top of this page you can read more things that he thought were wrong. Write on a piece of paper some of the things Martin Luther thought were wrong with the Catholic Church. Hang your paper up on your door. If you have siblings doing the same history as you, maybe you’d just like to print out this whole booklet. Read the booklet and choose a page or two to do every day. Older kids can do the more challenging games and do more pages. If you are interested, you can ask to have the whole booklet printed out for yourself. Or, you can pick certain pages to do. You have seven days to work on the booklet. You are going to read about explorers, men who traveled into the unknown to discover new places, routes and riches. *Print out Magellan and color him in. Write a date and what he is famous for. *Print out this page. Color Cabot and write a date and what he is famous for. Why do you think Newfoundland is called Newfoundland? Read about Sir Frances Drake. *Print out the page. Color Drake and write a date and what he is famous for. Read about Vasco Da Gama. Make sure you label the map. Use your print out of world 1 and draw on Polo’s travels. Label the countries that he traveled through. Read about Ponce de Leon. Tell someone about his explorations. Scroll down and find Verrazano, Giovanni Da and read about him. Use your print out of world 1 and draw his route on the map. Make sure to label your map with his name. Read about Hernando De Soto. Tell someone about his adventures. Do you think he was a good guy or a bad guy? Why? Read about Samuel de Champlain. Tell someone where he sailed. Use this map to draw his route on your printed map. Click on the links to watch the explorers’ routes. Exploring wasn’t really a fun adventure. Read about the awful life at sea. Play review games from any history you have studied so far. You are going to be doing a final, end-of-the-year project. You can choose to learn more about anything from history from the beginning of creation up through the renaissance. You might pick a person or an event. Choose something specific. Don’t just pick a time period. Choose a person, an event, or some aspect of the time period such as the architecture, the family, inventions, etc. Here is a page with some links you could look through for an idea. Here is another page with links for ideas. Once you have chosen what you are going to do for an end-of-the-year project, the second step is to decide what type of project are you going to do. You can make a lapbook, a poster, a power point presentation, a sway presentation, or a scrapbook. You could write and put on a play or give a speech. Or, you can think of something I haven’t thought of. Choose what you are going to do. You are going to complete your project, write a bibliography-a list of your resources, and present your project to an audience. The first step is research. Here are some Research Note Taker sheets. You need to learn everything you can about your topic. Make sure you write down where your information is coming from. You need titles, authors, dates and website addresses. Here is one place you can go to search for information. Here is another. You should probably include a map somewhere on your project. Add to your project. You need to finish today or tomorrow. Finish your project. Practice presenting your project. Write what you are going to say if that helps. You are going to tell them about your topic and about your project. Don’t read what you wrote on your project. They can read it for themselves. Tell them about what you learned and about what they will see on your project. Read over this grading sheet for presenting a topic. You would want to score a 4 for every category. The last one is only if you are working together with siblings. Practice what you are going to say for your presenting. Write a bibliography to go with your project. If your project is online, add your bibliography to your online project. Present your project. Show it to your audience. Tell about your topic without reading exactly what your project says. Let them look at it and ask questions. Answer their questions in complete sentences.